There has never been a resource as comprehensive as this for Florida hikers…until now. Featuring nearly 500 hiking trails throughout Florida, this concise guidebook gives you the skinny on where the top trails are, where to take the kids, where you can walk your dog, and which hikes are wheelchair-accessible. When you’ve hiked as much of Florida as I have, it makes perfect sense to put it all together into one comprehensive volume. This thick volume to almost (but not quite) everywhere you can hike on a non-multiuse trail in Florida features nearly 500 hiking trails … I simply pooped out before I completed my list, which was compiled from both field research and a lot of digging around on the web to look beyond the obvious with state and national lands to find what counties and cities had to offer in the way of urban getaways. And yes, I visited them all. The hikes in this book range from short nature walks to long jaunts on the Florida Trail, and each is covered in a single page with information blocks on directions, highlights, nearby resources, and more. It was quite a labor to put this one together, but I feel confident you’ll find this an excellent guide when planning your travels in Florida — use this to find the off-the-beaten path places to explore near your destination, or plan your own family adventures around these hikes! 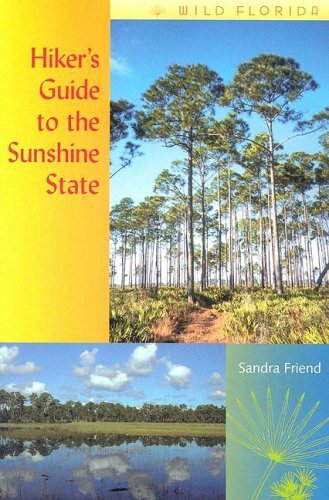 I’ve continued to expand on the spirit of this book with a virtual guidebook, FloridaHikes.com. Softcover, 528 pages. B&W photos.